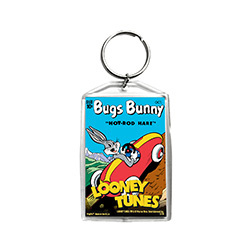 Bugs Bunny is here and he has arrived in style. 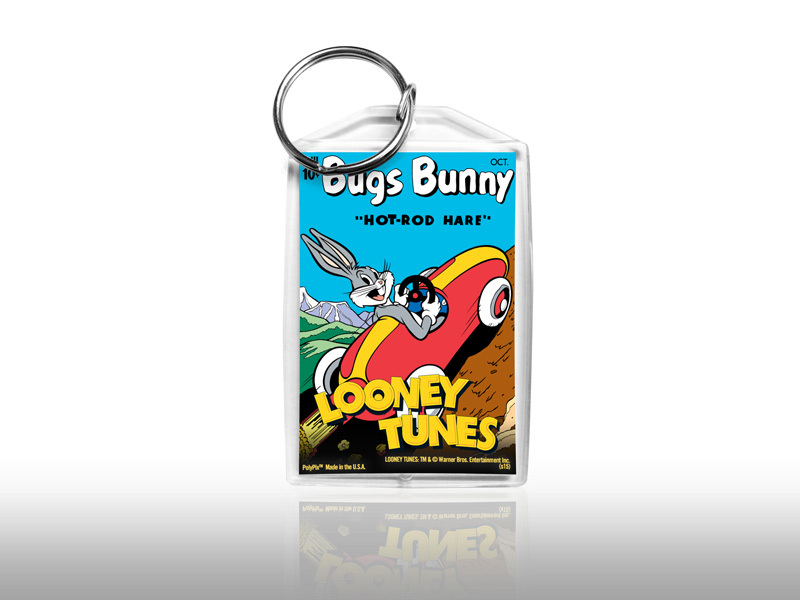 The “Hot-Rod Hare” is a true classic and now you can take it with you wherever the road leads you. 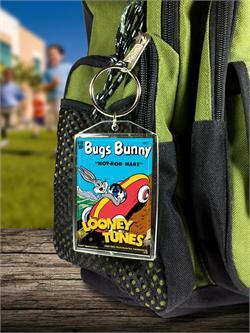 This PolyPix™ Acrylic Keychain features Bugs Bunny in classic comic book style artwork. 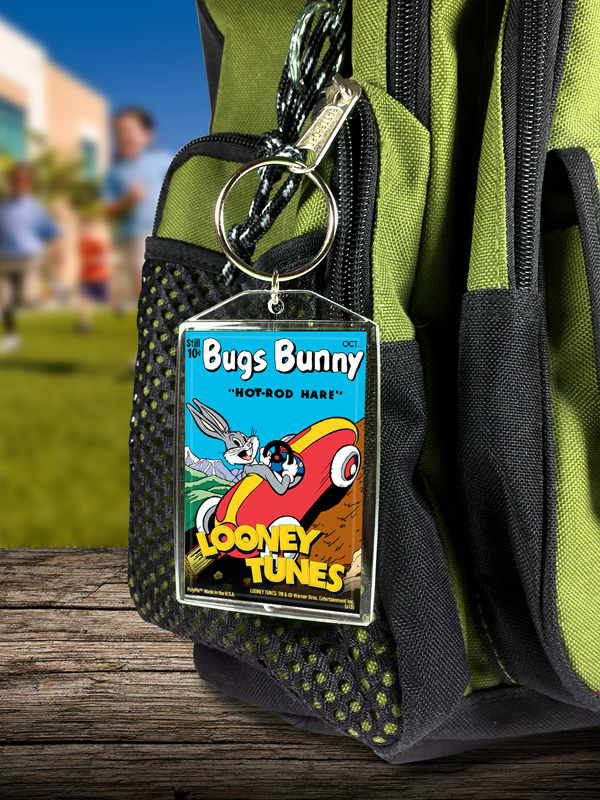 PolyPix™ Acrylic Keychains are scratch resistant, photo quality prints of licensed artwork placed inside a durable acrylic keychain.